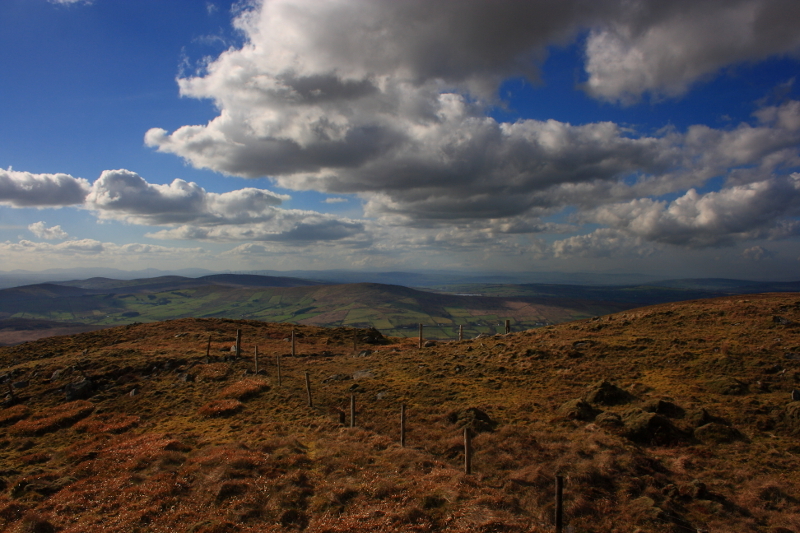 Referred to as Sliabh cCarbatach in the Annals of the Four Masters (entry for 1567 AD). The element carbad/carb is found in a number of Irish place-names. Although carpat can mean a chariot in Old Irish, many of the places in question have boulders and this seems more likely to be the sense of such place-names in mountain areas. Mullaghcarbatagh is the 512th highest place in Ireland.